Pets can brighten up your life, regardless of the type of animal you prefer, but there’s something special about cats. 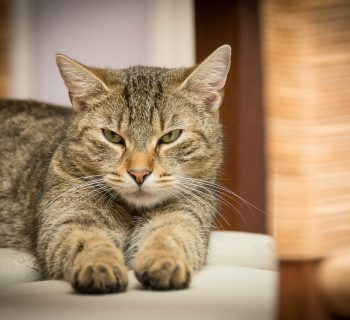 Whether it’s their cool demeanor or piercing eyes is up to the owner, but cats have long captivated human beings, ever since the Ancient Egyptians revered them as gods. Of course, there are also far less glorious aspects involved in owning a cat, and nothing exemplifies that better than the litter box. If you want your home to remain tidy and free of smells, you’re going to have to get to know your litter box very well, and you’re also going to have to choose the best one possible. Over the course of this guide, we’re going to be covering some of the best litter boxes on the market, but we won’t be looking at regular old manual litter boxes. This guide will be focused on the best self-cleaning litter boxes around, but before we get to our reviews, let’s make sure everyone’s on the same page. Of course, if we’re going to ensure that everyone is following along, we’re going to have to make the distinction between the two kinds of litter boxes. As you likely know, a litter box is where a cat goes to do its business because only a tiny percentage of cats will actually go outside of the house to do so. The first type of litter box is the more common variety. With a manual litter box, you have to sift through the litter yourself to clean it out from time to time. As you can imagine, these litter boxes are the more affordable alternative, but they aren’t exactly convenient unless you’re a fan of sifting through cat poop. On the other hand, technology has managed to make the job much simpler with the self-cleaning litter box. This is a more advanced type of litter box that will cost more than a manual model, but it will also be much more convenient. 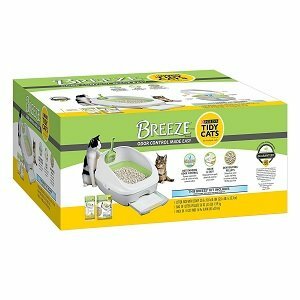 Let’s take a look at these kinds of litter boxes in closer detail. While we’ve mentioned that these litter boxes are a little more expensive and a little easier to use, we haven’t exactly gone over what you can expect from one of them. Of course, it’s a little hard to describe exactly how your average self-cleaning litter box operates because each company has its own way of doing things. However, the basic idea with these litter boxes is that your cat goes and poops in one of them, and when the box’s sensors don’t detect your cat’s presence anymore, they’ll pick up the litter. There may be a sifter arm that runs through the litter or any other kind of system that performs this task. As you would expect, these litter boxes are much easier for you to use since you'll only have to clean out the litter reservoir every so often and you won't have to worry about smells. When your cat's litter remains in the box, it will tend to stink up the house, and this becomes far less likely with a self-cleaning model. In the end, self-cleaning litter boxes look like the way of the future, and the only thing left to do is to find the perfect one for your home. Searching for the best self-cleaning litter box on the market doesn't have to be a challenge, but we can understand why it may seem a little daunting at first. Most self-cleaning litter boxes aren't exactly easy to distinguish between, and many of them look no different from each other. 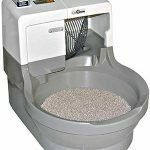 In our reviews, we’ll do our best to cover the most noteworthy features of each of these models, so bear with us as we go through our top five self-cleaning litter boxes. The Tidy Cats system from Purina is one of the most user-friendly automated litter boxes on the market. 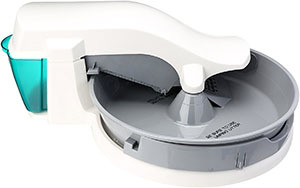 If you’ve never used one of these products before and you dread the thought of setting one of them up, then you’ll love this product since it is designed to be as simple as possible for the user. Even once you’ve set this litter box up, you won’t have to worry about constant maintenance like you would with some of the competition. There wouldn’t be much of a point to a self-cleaning litter box if you had to worry about keeping it maintained all the time. 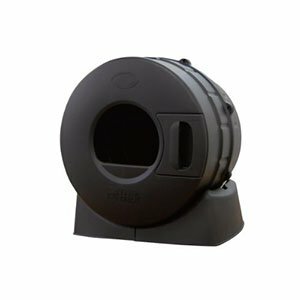 The litter pellets that are used with this litter box are designed to filter out the smells and clump together for easier removal. 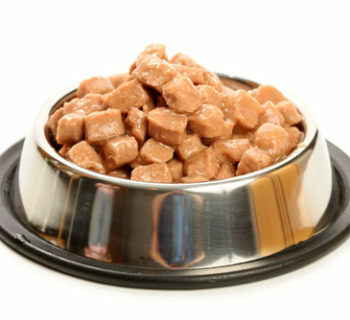 Since pellets are used instead of another form of litter, you also won’t have to worry about them being tracked out of the box by your cat. Overall, this is an impressive and convenient litter box. 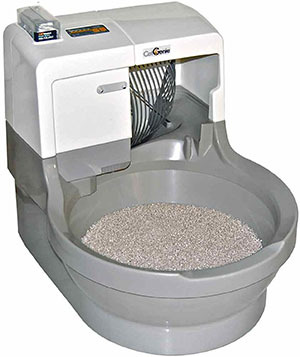 The CatGenie is a favorite amongst those looking for high quality in their automatic litter box. 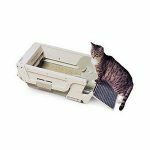 While this model may be more expensive than a lot of the competition, it is truly a self-cleaning litter box in that you won’t have to worry about cleaning out the waste from the machine yourself. 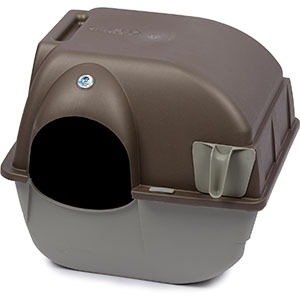 This litter box will need to be connected to a source of cold water when being set up, but once you’ve worked out the installation, there aren’t many models that can match this one for convenience. From washing the granules and ensuring that the smell is entirely gone to drying them out for your cat’s next visit, the CatGenie can do everything that you need it to. The absolute lack of smell around the area where this litter box is mounted is an impressive result. You can set up the cleaning schedule to a rate that works best for you so that you can conserve the cleaning solution. If you don’t mind paying extra for superior quality, the CatGenie will probably be the best choice. The most notable part of the Scoopfree system is the use of crystals instead of traditional litter. The crystals that are used in this model ensure that the smell doesn't spread anywhere near as much as it would with comparable systems so that you can keep the area around your litter box pleasant and refreshing. Another benefit to the crystals is that they won’t track anything around your house, so this system works equally well with carpets and hard floors. There’s also a plastic lining around the litter tray which is present to prevent the possibility of leaks, another benefit for those with carpeted floors. 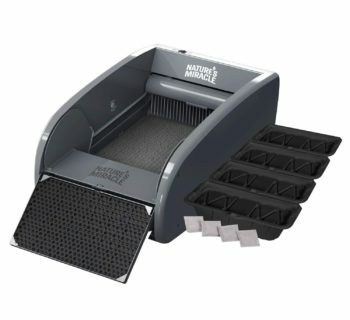 Since the litter trays that are used with this litter box are disposable, you won’t have to worry about cleaning the litter box out. All you have to do is take the tray out of the litter box, toss it out, and then you’ll be ready to replace it with another one so that your cat can do its business once more. 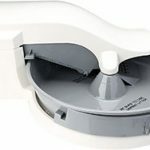 This model is another one of the more affordable choices on this list, and it isn't truly automated like some of the other options, but it also makes scooping much easier. When you know your cat has done its business, all you have to do is roll the box over, and the litter will be deposited into a tray. 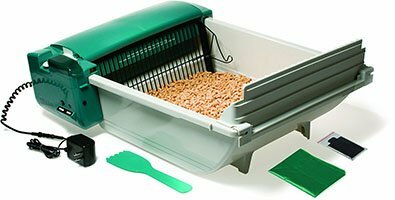 The tray slides right out of the litter box’s front panel and allows you to conveniently throw it away without having to scoop it up yourself. 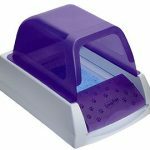 The Omega Paw also features a hooded design to ensure that none of the smells from your cat’s litter can travel around your home. The litter box itself is also rather large, so you won’t have to worry about fatter cats being able to fit inside of the hooded enclosure. If you need a self-cleaning litter box that works well yet is still available for an affordable price, you’ll love the Omega Paw system. If you need a mid-range option when it comes to your self-cleaning litter box, then this model from PetSafe should suit your needs. This model has an ingenious setup in which it brings the kitty litter to a small waste bin on the side of the machine which can be lined with bags to make your job easier. Since this machine isn't hooked up to water like the CatGenie, you'll have to clean it out once every two weeks, but apart from that, there isn't much maintenance. The only thing that you'll have to do regularly with this litter box is replacing the recyclable bag that catches the litter. 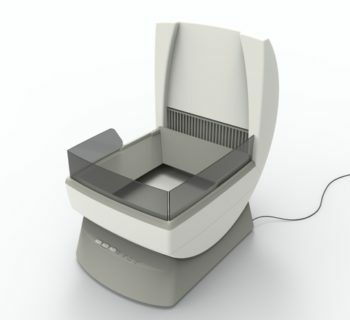 Thanks to this model’s low-profile design, you’ll also find that it uses less litter than other self-cleaning models. 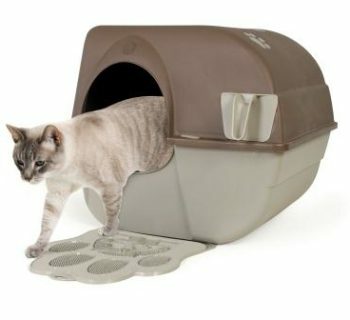 If you don’t want to spend too much money keeping your litter box supplied, then this model may be perfect for you. 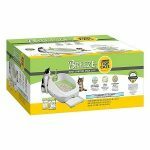 Setting up the Simply Clean litter box is as simple as finding a place for it and plugging it in. If you’re not a fan of any of these self-cleaning litter boxes, we’ve also included some products that didn’t make it into the top five but managed to impress us nonetheless. 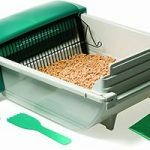 The Smart Scoop is one of the more impressive automatic litter boxes around thanks to its excellent build quality. 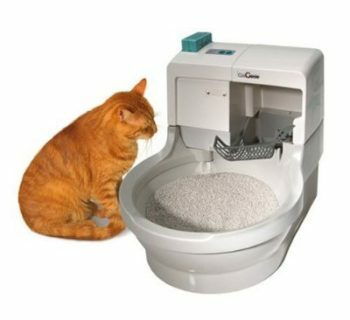 If you want reliability and quiet operation, you may want to take a look at this automatic litter box. If you have several cats or just one really fat one, you may need an extra-large self-cleaning litter box. The LM980 is the best choice for customers who want a litter box that’s big and durable but can still clean itself out. 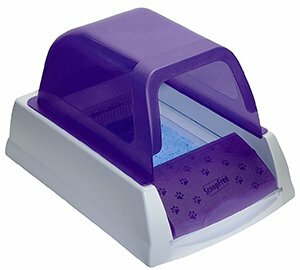 This model is similar to the Omega Paw in that you rotate the litter box around and it automatically gets deposited into a tray. The Quick Clean litter box ended up losing out due to its slightly less impressive build quality. We’re also going to cover some of the features and aspects you should consider before buying your new self-cleaning litter box. Putting some extra thought into what you’re searching for will make it easier to find the ideal litter box for your needs. When picking the right litter box, you’ll always have to consider the number of cats in your home and how they get along. If you know that your cats can share a litter box without fighting each other, then you should opt for one of the larger self-cleaning litter boxes so you won’t need two of them. 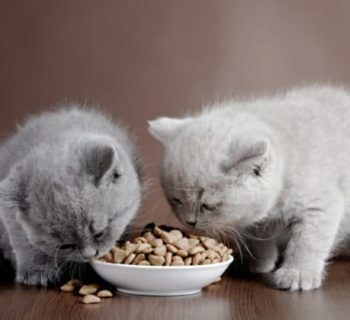 Keep in mind that two cats using the same litter box will require more frequent replacement of the litter. You’ll also have to clean the litter box itself more often due to them using it more. If your cats don’t get along, then you’ll have to buy two separate self-cleaning litter boxes and position them far enough apart. You'll also want to consider your budget when choosing the right self-cleaning litter box since that will end up making a huge difference in the kind of model you get. On the lower end of the spectrum, you'll still have to deal with your cat's poop, but you won't have to scoop it yourself. When you get to high-end self-cleaning litter boxes, then they actually start cleaning themselves out, though many will need a water connection. Consider how much you want to spend on your litter box and then you’ll have a better idea of the kind of product you’ll be able to get. Finding the best self-cleaning litter box around doesn’t have to be a hassle, and we hope that we’ve made it an easier task for you to accomplish. We wish you luck in finding the right self-cleaning litter box for you and your feline friend!